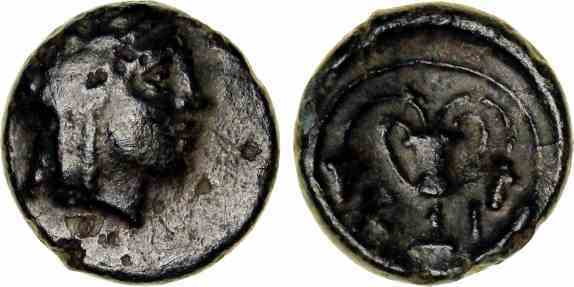 Bronze AE12, 12mm, 1.14gm, issued 300-200 BC. Obv: Youthful head of Mithras right. Rev: KI, Kantharos between two bunches of grapes.